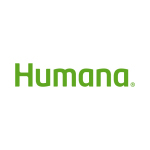 "Our Medicare Advantage membership has been growing quickly here in Southeastern Pennsylvania"
PHILADELPHIA & LOUISVILLE, Ky.--(BUSINESS WIRE)--Philadelphia’s largest orthopedic practice has reached an agreement with health and well-being company Humana Inc. (NYSE: HUM) that will give Humana members in-network access to Rothman Institute’s 130 physicians and 23 office locations throughout Southeastern Pennsylvania and New Jersey. The new network agreement includes all of Humana’s Medicare Advantage plans in Southeastern Pennsylvania. Humana membership has grown in Southeastern Pennsylvania in recent years, now including 8,800 members in the region and approximately 41,000 across the commonwealth. With Rothman Institute’s hip, knee, foot and spine programs and their advanced rehabilitation services, Humana officials believe members from across the Philadelphia five-county region will seek care at Rothman Institute. Humana members now have in-network access to Rothman Institute, which includes 23 offices and 20 surgical sites in Greater Philadelphia, and a new orthopedic urgent care location in Limerick, Pa., where people can see an orthopedic specialist, without an appointment, any day of the week. Medicare Advantage is an increasingly popular alternative to traditional Medicare, with 17 million members in the U.S. Medicare Advantage plans typically include hospital, medical and prescription drug coverage all in one plan. Many Medicare Advantage plans also offer benefits and services not available on traditional Medicare, including health coaching, wellness programs, chronic illness assistance and others. Rothman Institute is a private orthopaedic practice dedicated to providing communities with high-quality, compassionate, and affordable musculoskeletal care that is grounded in evidence-based medicine, the results of which will exceed expectations. Rothman Institute orthopaedists treat patients at over 23 locations in the Philadelphia-region, including orthopaedic urgent care clinics in Marlton, NJ, and Limerick, PA.